Radiesse 0.8 ml injectable implant is a steam sterilized, latex-free, non-pyrogenic, semi-solid, cohesive completely bio-degradable deep and sub-dermal implant. 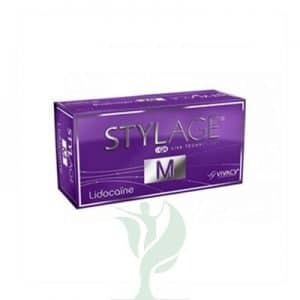 The syringe with standard luer fitting is packaged in a foil pouch and boxed for convenient storage. Radiesse 0.8 ml injectable implant is indicated for plastic and reconstructive surgery, including deep dermal and sub-dermal soft tissue augmentation of the facial area. Over time, the gel is dissipated in vivo and replaced with soft tissue growth, while the calcium hydroxylapatite remains at the site of injection. The result is long-term yet non-permanent restoration and augmentation. Radiesse 0.8 ml injectable implant is classified as a Class III Medical Device according to Annex IX of the MDD. It should be administered by an authorized medical practitioner in accordance with local applicable regulation. You can use Radiesse 0.8 ml in the same way as hyaluronic acid-based dermal fillers to correct your patient’s wrinkles and add volume to their facial features. Radiesse does have a similar instant volumizing effect. However, Radiesse also takes the cosmetic treatment one step further. The calcium-based microspheres in Radiesse act as a scaffold, allowing collagen to form and maintain the skin’s structure for longer. 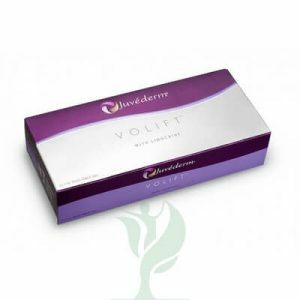 This makes Radiesse longer-lasting than other dermal fillers, lasting a year or longer in most patients. 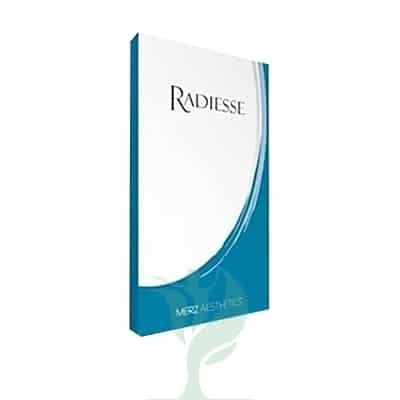 Radiesse 0.8 ml is made from calcium hydroxylapatite particles suspended in a gel, with a particle size of 25 to 45 microns. When injected into the skin, this product immediately replenishes lost volume to provide lift, lessening the appearance of wrinkles. After injection, this filler continues to help combat the signs of aging by acting as a scaffold to allow for new collagen to grow in the treatment area, extending the effect of the filler even further. Synthetic calcium hydroxylapatite suspended in a gel carrier (particle size range of 25-45 microns).